Set amongst the derelict remains of a former ceramics factory, Michael's vision for the Massarellos School of Construction embraces modern construction techniques whilst celebrating the factory's existing structures. His design features a lightweight glulam timber roof braced with triangulated steel rods, which rest on a single storey concrete plinth. Large glazed sliding windows look out over the River Douro and maximise natural daylight into ground floor workshops. A south-facing colonnade encourages the public to engage with the building and its activity within. Its café, lecture theatre and exhibition spaces draw in visitors wishing to learn about the significance of the former factory and explore the unique work of the construction school. Michael's design is influenced by traditional Portuguese architecture through his choice of materials and decorative patterns: "Much of my inspiration came from exploring the city, studying the local vernacular, as well as more contemporary buildings by great architects like Alvaro Siza and Eduardo Sauto de Moura. "I also drew inspiration from my surroundings in the Department of Architecture & Civil Engineering at Bath. 6 East's exposed concrete frame allows us to make clear distinctions between loadbearing and non-loadbearing elements. In the same way, my design for the School is stripped back, exposing all of the primary structure and junctions between the different materials. Everything from the nuts and bolts to the movement joints in the concrete are visible. By adopting this honest approach, the building becomes a tool for understanding the basic principles of architectural design." Michael's design incorporates passive strategies to maximise the site's natural resources including a biomass boiler for winter heating and the use of wood chips from waste timber off-cuts. "The building takes full advantage of its surroundings and local topography. It uses water from the River Douro for passive heating and cooling. It's southern edge maximises exposure to the sun and parts of the building are buried within the hillside to utilise the natural thermal mass. All of these features are common throughout Porto and could be easily replicated." The School acts as a ‘living demonstrator’ for the rest of the city whilst its students are trained with the specialist skills to rehabilitate Porto’s urban landscape. It blurs the boundary between academic teaching and commercial reality by combining college-level teaching, university-level research and small start-up businesses. Michael's MArch thesis was awarded the European Architectural Medal for Best Diploma Project, the RIBA Wessex Design Prize and 3DReid Student Prize. It was also nominated for the RIBA Silver Medal. 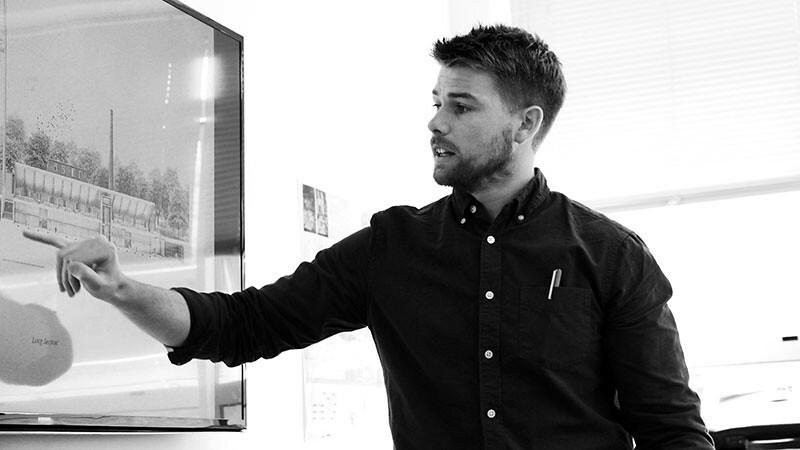 Now working at Feilden Clegg Bradley Studios, Michael is looking forward to a career designing buildings focused on those who use them, making people's experiences better through good design. "I have always enjoyed designing and making things, understanding how things work and fit together. My dad is a carpenter so I grew up surrounded by tools and raw materials. My brother and I spent hours building elaborate tree houses and go carts. At school I loved drawing and being creative with different materials so studying architecture at university seemed a great fit, combining my passion for drawing, designing and making." 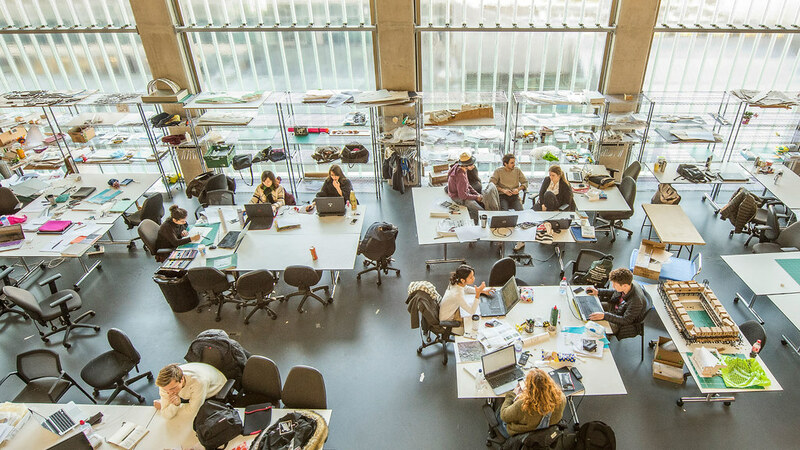 "At Bath you are encouraged to explore innovative concepts whilst ensuring that the design is structurally and environmentally viable. 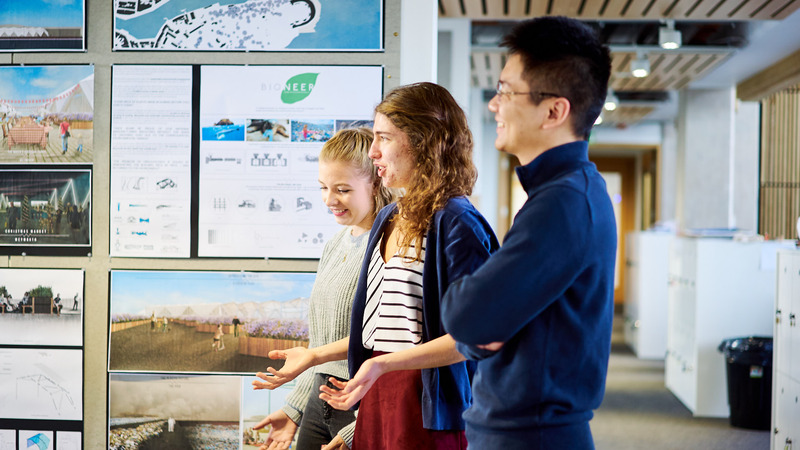 This process forces you to consider a broad range of difficult challenges, which ultimately prepares you for the realities of a career in architecture." Take a closer look at Michael's award-winning designs for the school. 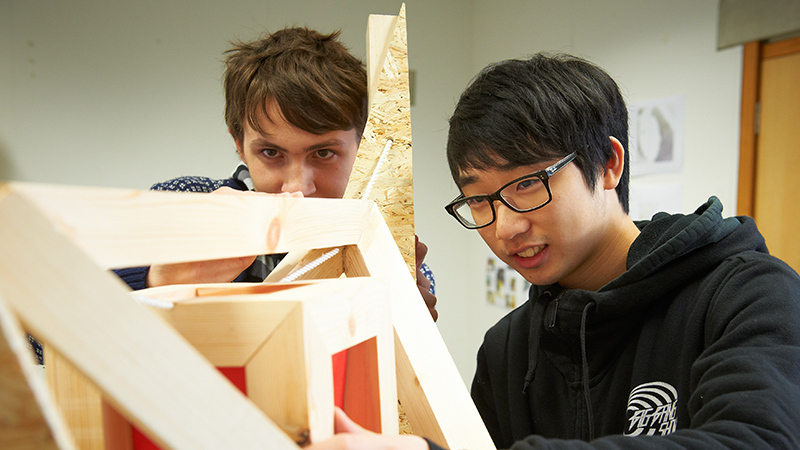 Read more about becoming an Architect at Bath.